I love thrift stores, much to my DH's dismay (**add DH's audible groan here). (currently that would be an easel) and then of course you have to be open to possibilities**. 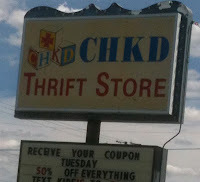 When we recently relocated back to Chesapeake, VA I was once again near my favorite thrift store, CHKD. CHKD supports the Children's Hospital of the Kings Daughters (http://www.chkd.org) a worthy charity to be sure. I have had several lucky finds here over the years and almost never leave empty handed**. A few weeks ago I joined the Thrift Store blog hop hosted by our UK friend 'Pookledo'. The challenge was to create something from a thrifty find that cost less than $1.50 (US). My find on a recent Tuesday was a set if 4 beaded napkin rings. as you can tell by the tag they were $1.98 but as you can also see by the CHKD sign pic Tuesdays are 50% off day with your texted coupon, so I got these beauties for 99 cents.I took them home and gave them a wash and took a few pics out in the sun to show the rich color. I have recently purchased a couple books on wire work and I was inspired to give it a try with these pieces. A few snips and the red glass beads and twisted wire were free. I gave the wire a few passes with a cleaning cloth to remove just a little of the tarnish but left the majority as an accent. I then cut some aluminum 18 gauge wire and formed a base and began my experiment. Slowly wrapping the re-pourposed wire and beads to form a pair of medium hoops. I was happy that I happened to have a pair of gunmetal colored ear wires in my stash as the color complemented the original wire very nicely. Now to make something to match. I cut a length of wire for a bracelet and again proceeded to carefully wrap the bits together. Voila' a bracelet. It definitely ended up being bangle like and a tiny bit large but I am happy with the results for my first wire wrapping attempts. Thank you for stopping by today, I appreciate your time and comments. 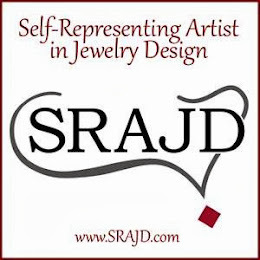 If you would consider becoming a follower of my blog I will gladly return the favor. If you are interested in this set, message me. Many thanks to Sarah Goode (AKA Pookledo) for hosting this FUN challenge. 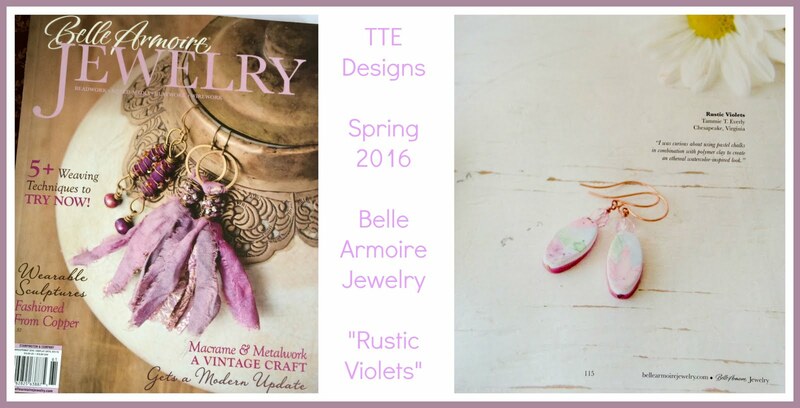 Please check out the other participants and see what they made from their thrifty treasures. I love the earrings.. I love what your daughter did too. Great job. I really love what you got out of those napkin rings! Seriously pretty, and the girl did a bang up job on her bracelet! I've had a lot of fun checking out everyone's creativity, and you have definitely sparked some ideas in my head! 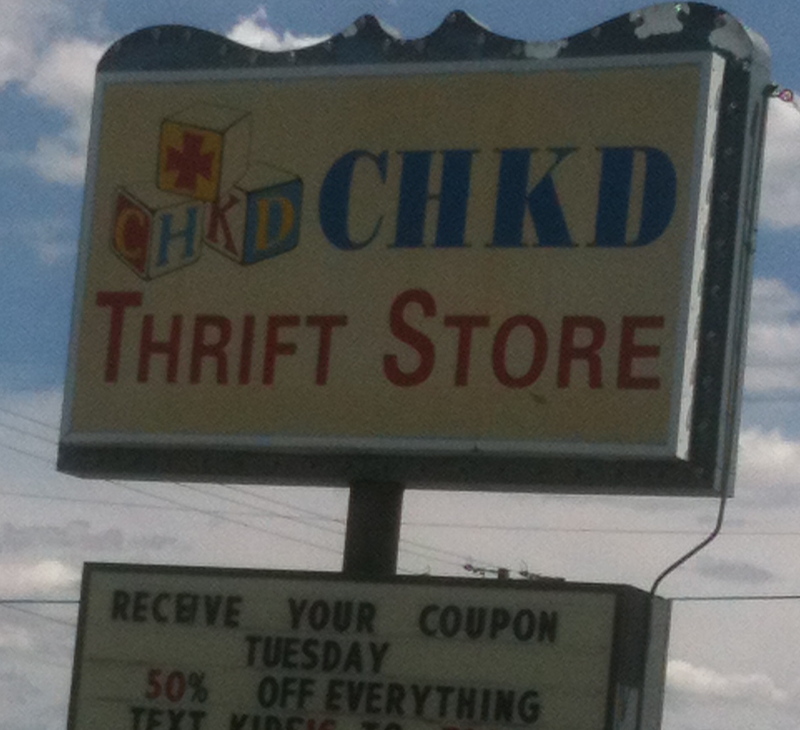 First thing - thanks for telling me about the thrift shop. I thought it was only in your part of town but there is one right up the street! NOW if I can just sneak away from the hubby and grands! 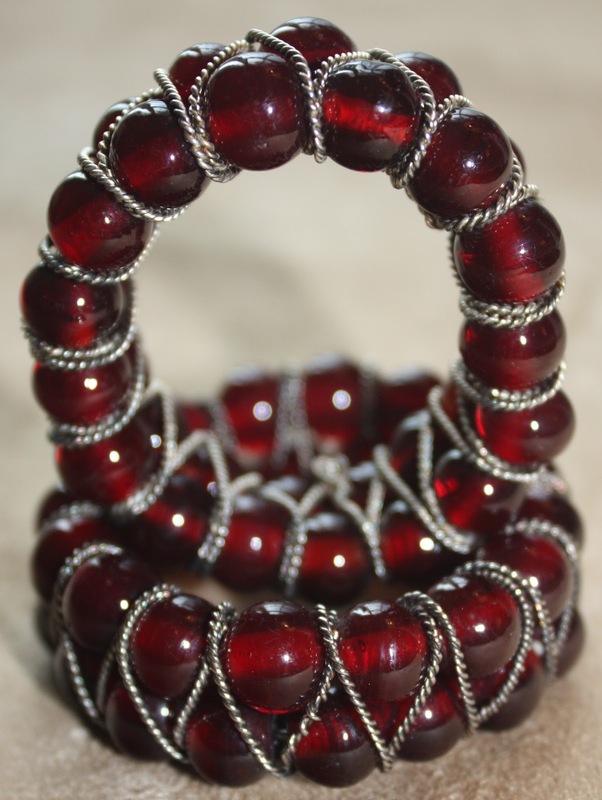 The ruby colored beads are so rich looking. Your wire wrapping skills are unbelievable. I wish I could do that with wire! And the bracelet is perfect. I am having a hard time believing these are your first attempt at this technique!! Fuzzy Wuzzy is so sweet, your daughter is very talented too! I love that you bought napkin rings! I would have never thought to look in that direction! Your re-designs are gorgeous! What a great find for .99, I love the earrings! Oh, how I want some of those red beads......but you got them and also repurposed the wire, You did a fantastic job! Like the little fuzzy bracelet as well. That's really fun! I love that you reused the wire too, very thrifty indeed. And like mother like daughter! I really liked those napkin rings but you really did the beads justice with those pieces you made. Lovely! What a great find those napkin rings were! It looks like you really challenged yourself with the wire wrapping design too! Both pieces turned out really nicely! Loved the story about about your DH and **!